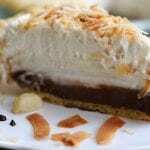 Haupia Pie with Macadamia Crust is a cherished Hawaiian dessert. 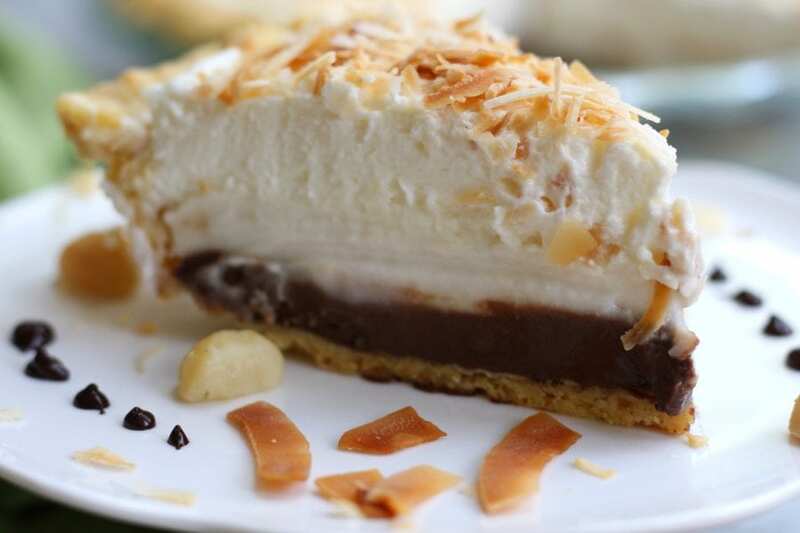 It is rich, chocolaty, coconutty and all with a nutty crust. Eating this is as exciting as going to your first luau. I had my first Haupia Pie on the North Shore of Oahu as a reward after being traumatized. A few days before my North Shore experience there had been a large earthquake in Alaska that put the state of Hawaii on a tsunami alert. Being from California I was used to the earthquakes, not being eaten alive by a giant wave. Visions of the 2011 Japanese tsunami played in my head like a bad horror movie. A few hours later all was fine and life went back to the normal Hawaiian style happiness. Fast forward a few days to the afternoon on the beach of North Shore. My cousins and I are happily soaking up the sun and beauty of Hawaii while having a cold drink when it hits. The dreaded “you are going to dye a drowning death today” siren. Yes the tsunami siren went off and sent us into a state of panic. Her first thought was her precious babies in school. My first thought was gathering every precious item we had brought to the beach and RUNNING FOR MY LIFE. I grab my beer and I RUN. Forget my purse and my camera, I had my beer and I was going to save my life. That is until we realized that those around us were enjoying the show we were putting on for free. They were testing the tsunami sirens…Yep, it is amazing what fear and panic can do to a person. After our horrific experience we decided to drown our sorrows in a piece of Haupia Pie and let me tell you, it made everything better. Everything stood still for me that afternoon with the first bite of the heavenly coconutty dreaminess. 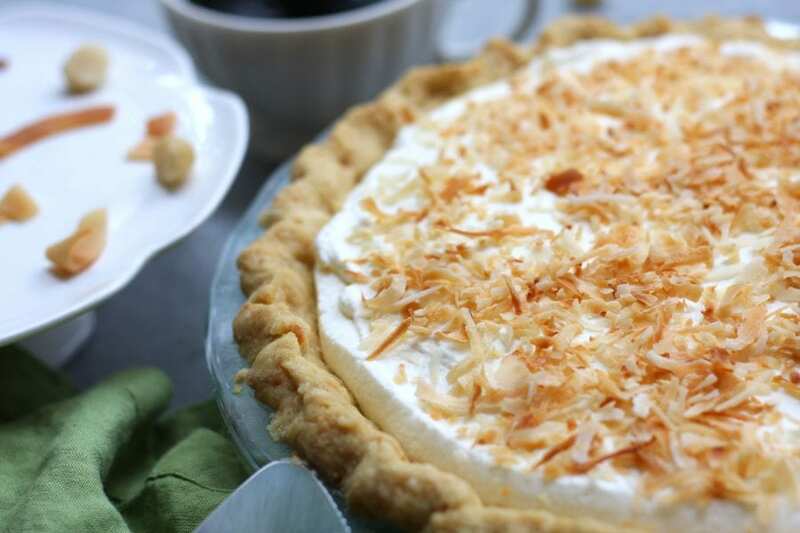 So you can imagine my delight when my Cousin Niki (who was a chef in the Coast Guard) said she would make this Haupia Pie with Macadamia Crust for the blog. If you make no other dessert this Holiday season, your Holidays will be complete because of this pie. The Haupia Pie with Macadamia Crustis is with out a doubt one of the best pie’s I have ever had in my life. Warning: it is a rich pie but to me that is just part of what makes it so wonderful. The flaky, buttery and nutty crust is a big part of why I love it. Oh and the chocolate coconut makes my heart sing. 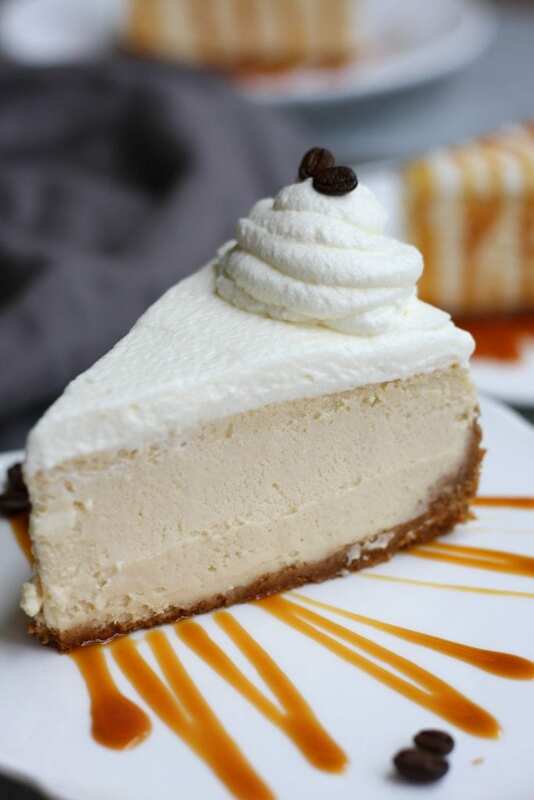 I can’t forget about creamy coconutty layer that is truly divine. 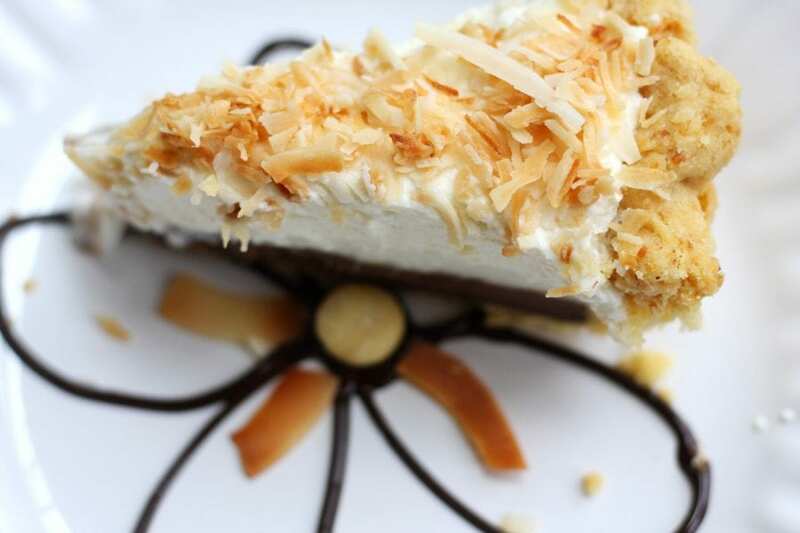 All of this topped with fluffy whipped cream and toasted coconut….HEAVEN! Arrowroot can be substituted for the cornstarch. but make sure to use 1/3 cup instead of the 1/2 cup that the recipe calls for. Interestingly, arrowroot has been a thickener of the past for awhile now. It was something that our grandparents cooked with, not us. I am very excited to say it is starting to make a come back with all the concerns of genetically engineered corn. In my kitchen there are both. 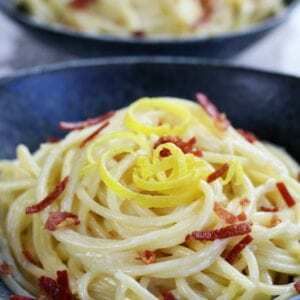 I use organic cornstarch and arrowroot powder and there are times I prefer arrowroot. Generally you use it just like you would cornstarch. When making the crust you will want butter that is cold, straight from the refrigerator. One trick is to cube the butter and place it back in the refrigerator until needed. If the butter is becoming too warm, cube it and place it in the freezer for about 10- 15 mins. Also while making the crust the ice water should consist of mostly ice and a little water. Cold, cold water is the name of the game. 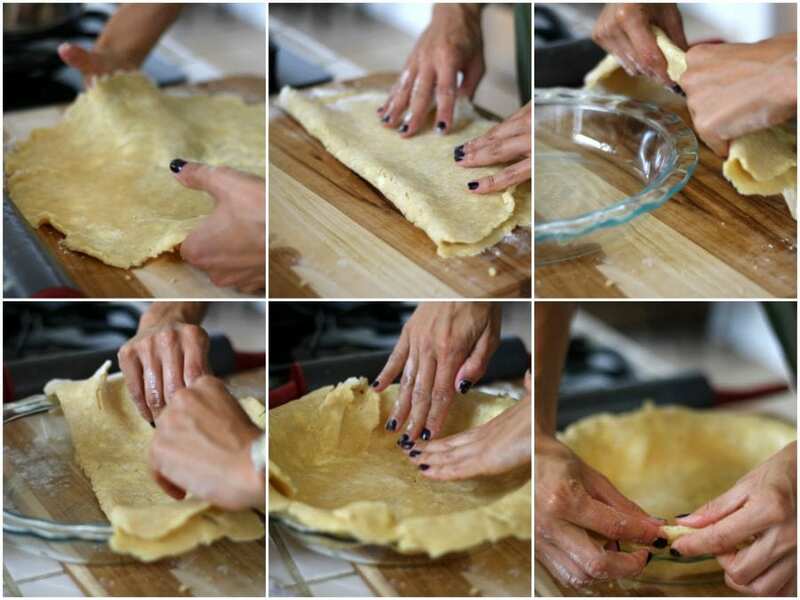 Another important trick while rolling out the crust is to touch is minimally. The warmth of your hands will cause the dough to warm up and you will want the dough to still be cold when it goes into the oven. If you have ever made pie dough with out a pie weight you already know what a disaster the crust can turn into. It basically buckles and turns into a foreign looking object. I highly recommend to use a pie weight. It will just save you so much pain and agony making the crust from scratch. 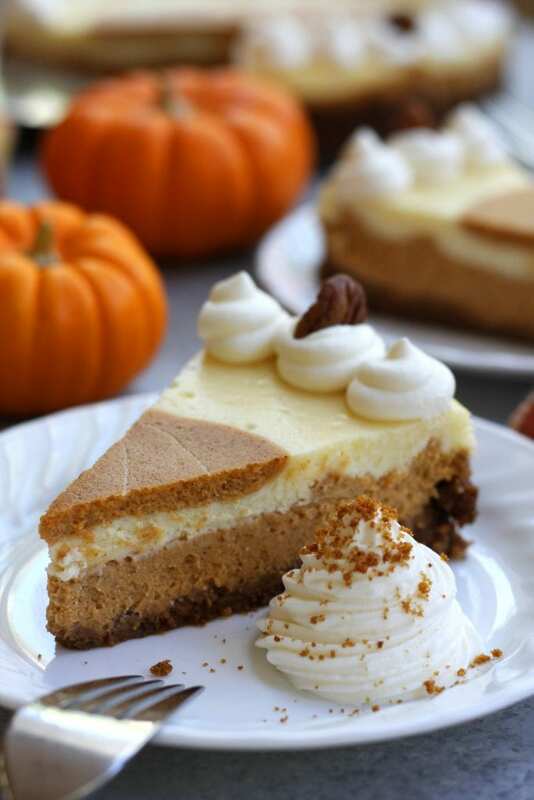 A great food processor makes pie crust so much easier to create! Click Photo for Product. 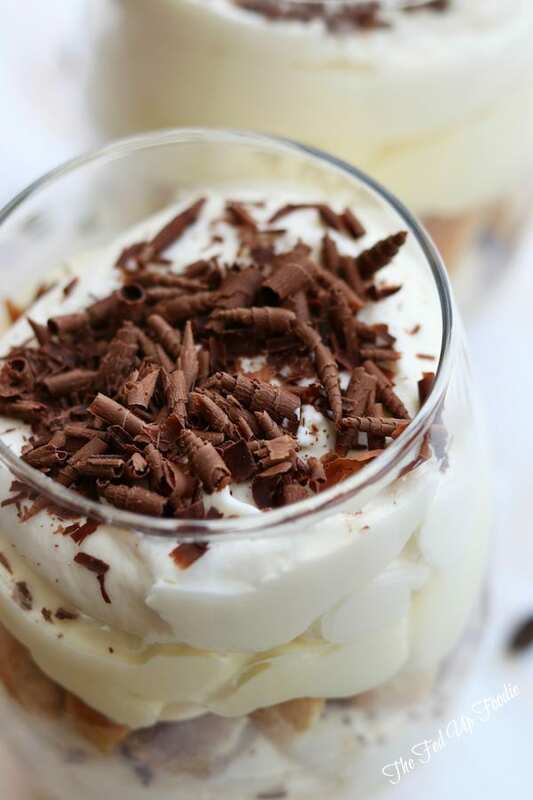 A rich and creamy classic dessert of Hawaii. In food processor, pulse macadamia nuts until fine bits. Be careful not to over process nuts or you will have macadamia nut butter. Yummy, but not what we want. 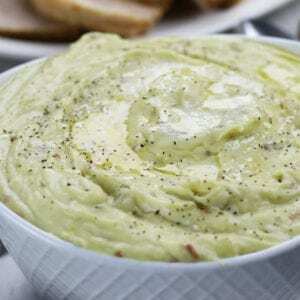 Remove from food processor. Set aside. In food processor, pulse cold cubed butter and flour. Add water one tablespoon at a time to dough. Add macadamias. Dough should be crumbly but able to pinch together. Pour onto plastic wrap. Form a disk. Cover with plastic wrap and refrigerate for 20 minutes to 1 hour. Remove. Preheat oven to 350 ℉. Roll dough out on a floured surface. Avoid dough becoming too warm by overworking with hands. Carefully press dough into 8" pie dish. Place crust into oven and bake until golden brown-approximately 15 mins at 350℉. 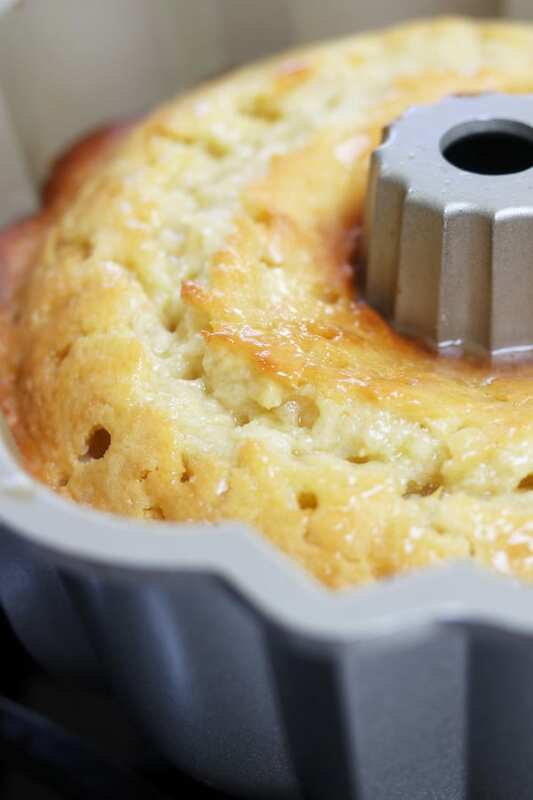 While the crust is cooling, create a slurry by dissolving cornstarch into water. Set aside. In a saucepan whisk together the coconut cream, milk, and sugar. Warm over medium heat until mixture begins to simmer and sugar is dissolved. Lower the heat and add extract. Add slurry to coconut mixture. Continue cooking on low just long enough for filling to thicken. Pour half the coconut mixture into a bowl and immediately add chocolate to remaining mixture in saucepan. Mix to melt chocolate into filling. Evenly pour chocolate filling into the cooled macadamia crust. Pour coconut mixture on top of chocolate and with an offset spatula smooth evenly over the chocolate layer. Cool the pie on counter top until room temperature. Place into the refrigerator. Whip heavy cream with sugar until stiff peaks form. lay coconut flat on a cookie sheet & toast in a 350℉ oven for 5-7 mins making sure to not burn. Let cool. 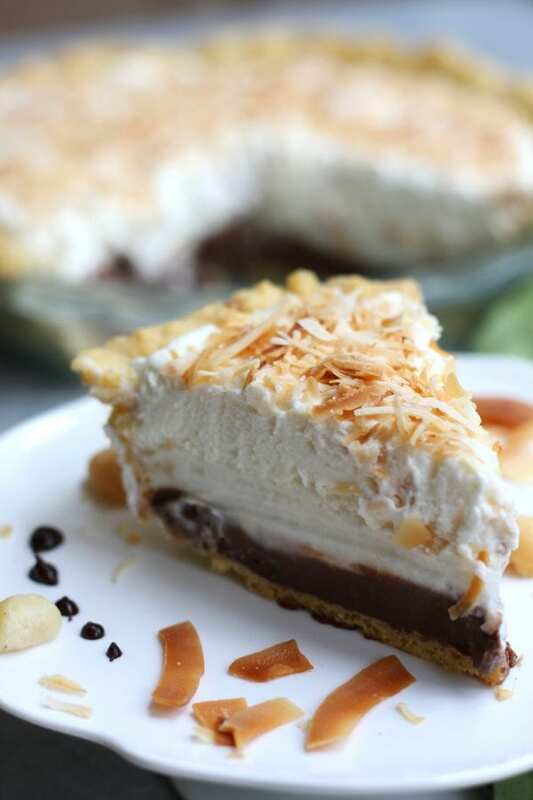 When pie is cooled completely, top with whipped cream, toasted coconut, chopped macadamias, chopped chocolate, etc. See Tips section above for detailed tips. 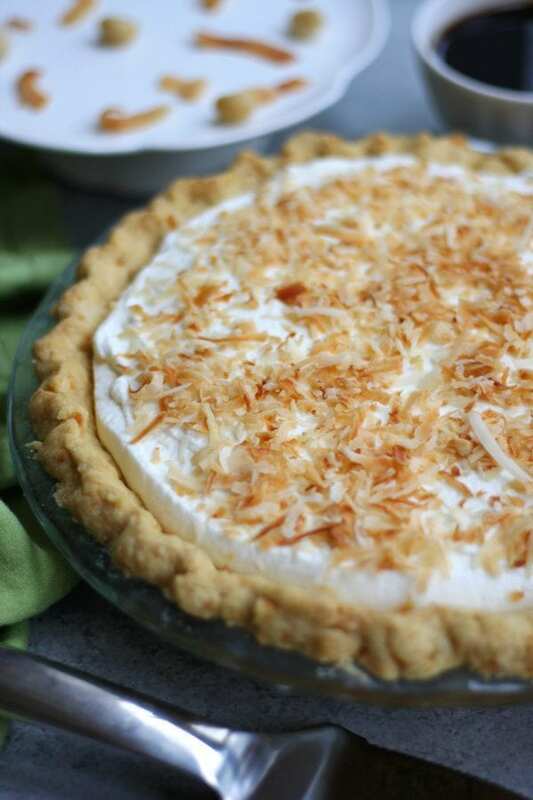 What is coconut cream and where can I buy it? I hope this helps and I am so excited for you that you get to have Haupia Pie. It is so unbelievably delicious. What temperature should the oven be at for cooking the crust? Thank you so much for catching that. It should be baked in a preheated 350℉ oven. I will immediately fix the recipe. Thank you!! Thank you Gail! I actually forgot I wrote about my Tsunami scare until I read your comment…lol… It was definitely and adventure! I am so sorry for the hub bub while baking. I hope it turned out great. I am super jealous as I love Haupia pie. How many ounces should the can of coconut cream weigh? First off I want to apologize for the extremely late response. My Father passed away and I have been caught up in a whirlwind this last month. I am so embarrassed that I have not responded to all of my comments in a timely manner. 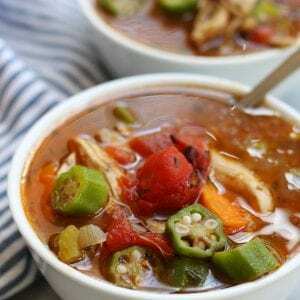 13.5 – 14 oz can of coconut works perfectly for this recipe. I hope you have a wonderful Holiday Season! I was just in Hawaii and had some awesome pie and want to make this. The pie was very creamy. 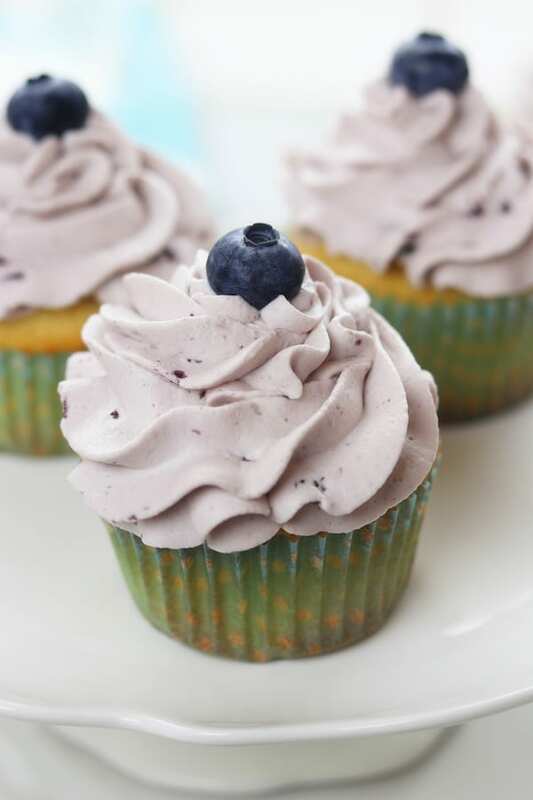 What is the consistency of the filling? Is it creamy or thick? Welcome back Susan! I am so jealous as I would love to go back to Hawaii. I hope you had a wonderful time! The Haupia Pie has the consistency of thick pudding so it falls in both the thick and creamy category. I hope this helps.